Minneapolis is on of the most beautiful cities in the world, in large part due to the lakes that populate the area. Lakefront homes for sale offer many options, whether you're looking into the real estate on the most northern lake, Lake Cedar, or the southernmost lake, lake Harriett, there is real estate for every water lover. The Minneapolis "Lake" real estate region includes homes on Lake Cedar, Lake Calhoun, Lake of the Isles and Lake Harriett. There is nothing that screams urban living like the Minneapolis lakes area which includes Lakes Calhoun, Isles, Harriet and Cedar. The area is an eclectic, vibrant and constantly changing area. Restaurants, large and small, thrive in Uptown, along with movie theaters, professional offices, retail stores and more than 30,000 residents. Homes for sale near Minneapolis Lakes offer unbelievable sunset views and easy access to the sparkling waters that make the city so famous. Start your search with the popular Minneapolis Lakes communities below. 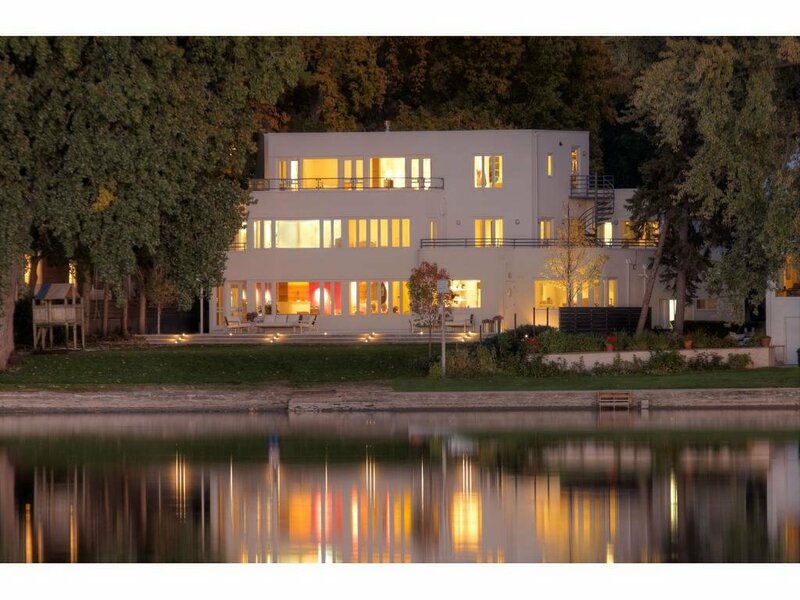 Many homes found in the Minneapolis Lakes area are picture-perfect urban retreats poised within the quiet, suburban neighborhoods outside of the city center. Craftsman style homes are most popular in this community, and both the new houses and older properties ooze curb appeal. Have you ever wanted to experience prime, waterfront living without being too far from the urban center? Then choose a home near one of the many pristine Minneapolis lakes. If you're ready to start house hunting, we are always just a phone call or email away.Contact Ben Ganje+Partners for more information about the Minneapolis Lakes area. The informaton below includes the contact information for all of the Minneapolis schools (as opposed to just those that serve the lake communities). Minneapolis contains 67 Public schools and almost as many private school options for anyone relocating to Minneapolis. With a population of 388,902, the Minneapolis Public School District is enrolling 9% of the Minneapolis. There are 43 Minneapolis Elementary schools, one of which is Lake Harriet Lower Elementary School, which is the highest rated school on GreatSchools at 10. Anishinabe 612.668.0880 3100 E. 28th St.
Armatage 612.668.3180 2501 W. 56th St.
Bancroft 612.668.3550 1315 E. 38th St.
Barton 612.668.3580 4237 Colfax Ave. S.
Bethune 612.668.2550 919 Emerson Ave. N.
Burroughs 612.668.3280 1601 W. 50th St.
Cityview 612.668.2270 3350 - 4th St. N.
Folwell 612.668.4550 3611 20th Ave. S.
Green Central 612.668.3730 3416 Fourth Ave. S.
Hale 612.668.3760 5330 13th Ave. S.
Hall 612.668.2650 1601 Aldrich Ave. N.
Hiawatha 612.668.4610 4201 42nd Ave. S.
Jefferson 612.668.2720 1200 W. 26th St.
Jenny Lind 612.668.2020 5025 Bryant Ave. N.
Kenny 612.668.3340 5720 Emerson Ave. S.
Kenwood 612.668.2760 2013 Penn Ave. S.
Lake Harriet Lower 612.668.3210 4030 Chowen Ave. S.
Lake Harriet Upper 612.668.3310 4912 Vincent Ave. S.
Lake Nokomis - Keewaydin 612.668.4670 5209 30th Ave. S.
Lake Nokomis - Wenonah 612.668.5040 5625 23rd Ave. S.
Loring 612.668.2060 2600 44th Ave. N.
Lucy Laney 612.668.2200 3333 Penn Ave. N.
Lyndale 612.668.4000 312 W. 34th St.
Marcy 612.668.1020 415 Fourth Ave. SE. Mona Moede 612.668.2127 2406 Girard Ave N.
Nellie Stone Johnson 612.668.2930 807 27th Ave. N.
Northrop 612.668.4520 4315 31st Ave. S.
Pillsbury 612.668.1530 2250 Garfield St. NE. Seward 612.668.4950 2309 - 28th Ave. S.
Sheridan 612.668.1130 1201 University Ave. NE. Sullivan 612.668.5000 3100 E. 28th St.
Waite Park 612.668.1600 1800 - 34th Ave. NE. Webster 612.668.1210 425 5th St. NE. Whittier 612.668.4170 315 W. 26 St.
Windom 612.668.3370 5821 Wentworth Ave. S.
Anthony 612.668.3240 5757 Irving Ave. S.
Anwatin 612.668.2450 256 Upton Ave. S.
Field 612.668.3640 4645 Fourth Ave. S.
Franklin 612.668.2600 1501 Aldrich Ave N.
Justice Page 612.668.4040 1 W. 49th St.
Northeast 612.668.1500 2955 Hayes St. NE. Olson 612.668.1640 1607 51st Ave. N.
Sanford 612.668.4900 3524 - 42nd Ave. S.
North’s NSTEM Academy 612.668.1700 1500 James Ave. N.
Roosevelt High School 612.668.4800 4029 28th Ave. S.
What Is Your Minneapolis Lakes Home Value? Find Out!